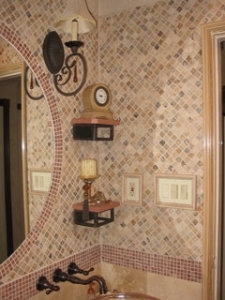 Mosaic tiles are very versatile. 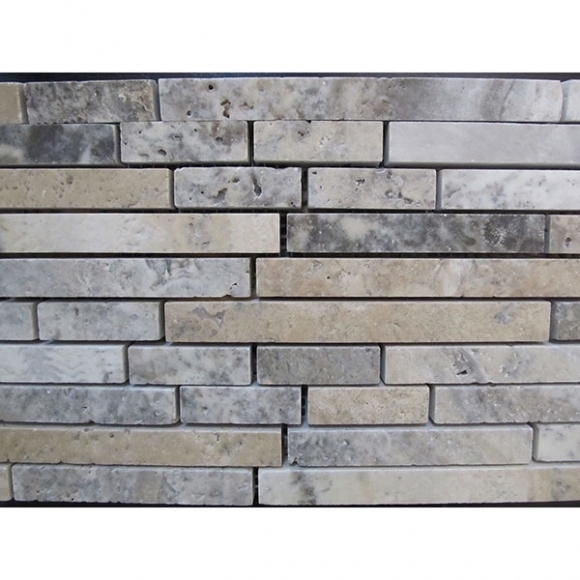 They are frequently used as kitchen and bathroom back splashes but are also beautiful for decorative accents and even waterline tiles for swimming pools. 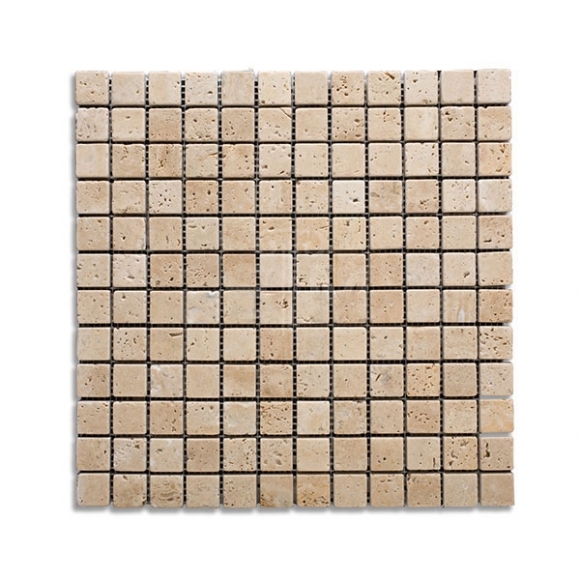 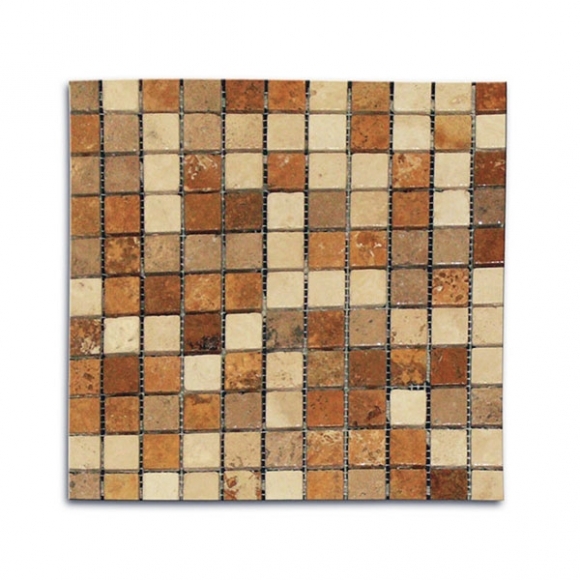 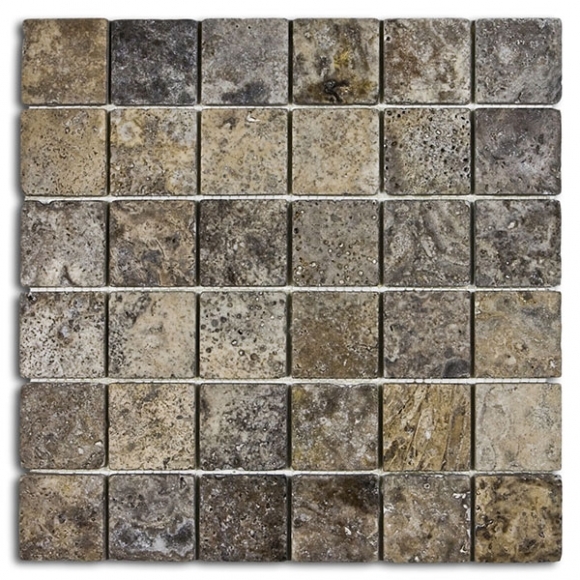 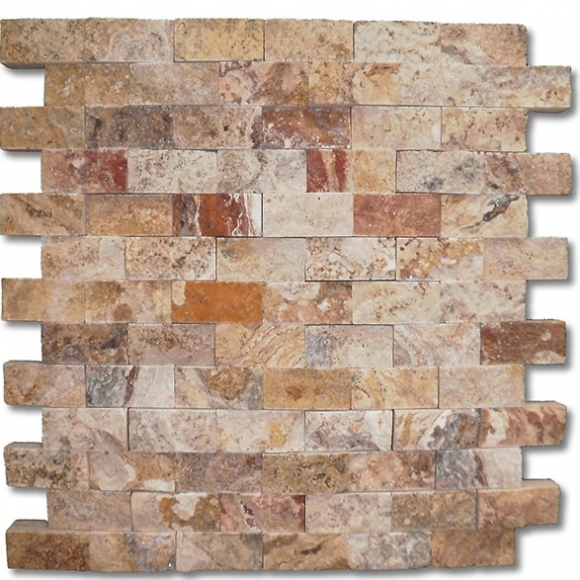 At Travertine Warehouse our mosaic tiles make the perfect accents for any room. 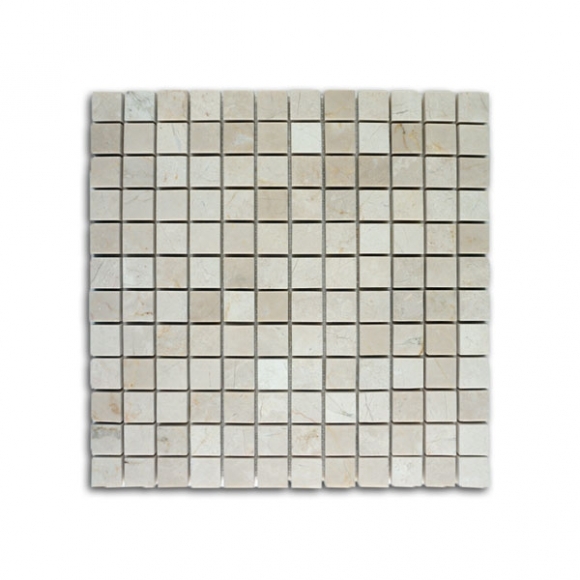 Mosaic tiles usually come in 1×1, 2×2, or freestyle design and are on a 12×12 mesh for easy installation. 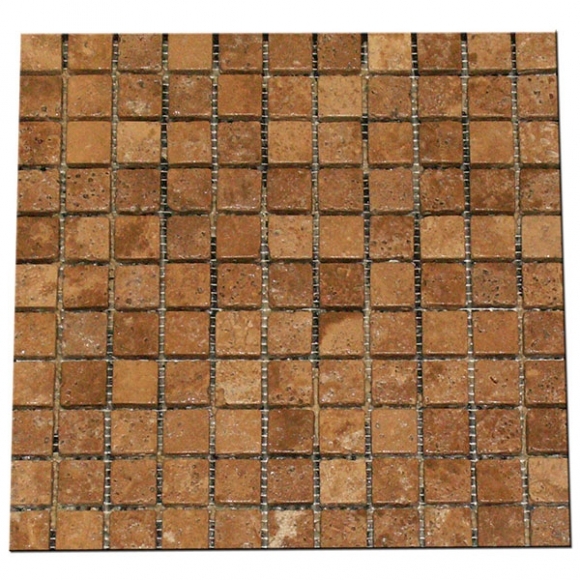 This mesh backing makes mosaics a lot easier to be manipulated and cut for intricate designs or tight places. 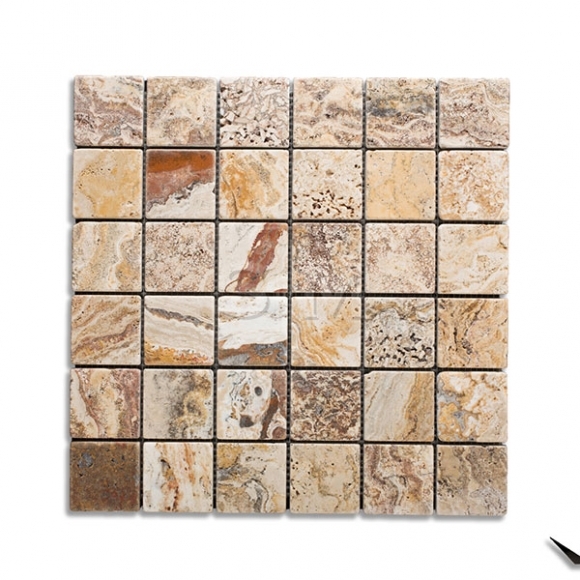 We carry a variety of travertine, marble and onyx mosaic tiles to fit any design. 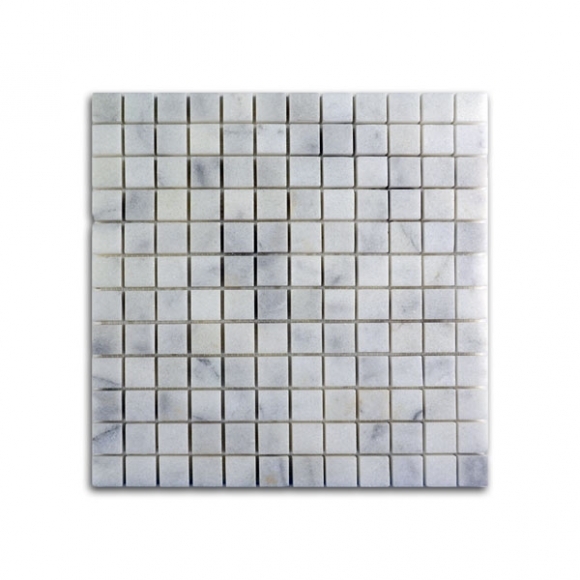 For a more polished or formal look, an onyx mosaic tile can add just the right touch, and can be used almost anywhere especially alongside the polished marble tiles. 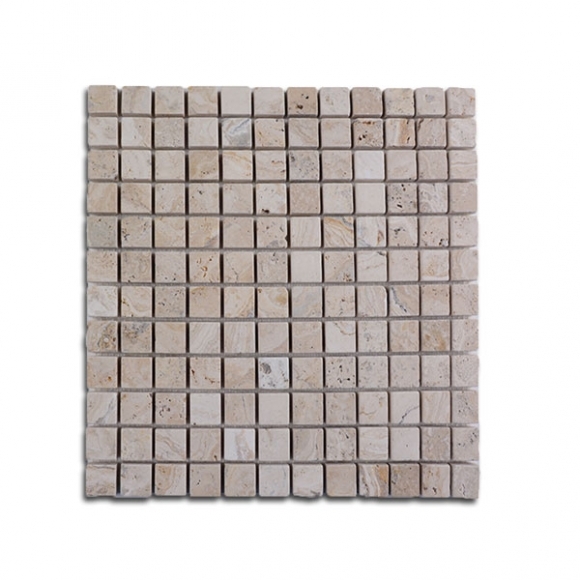 Travertine mosaics with their tumbled finished look will definitely be ideal for a kitchen back splash, shower wall, or for tub surround with any finished flooring tile that you might choose. 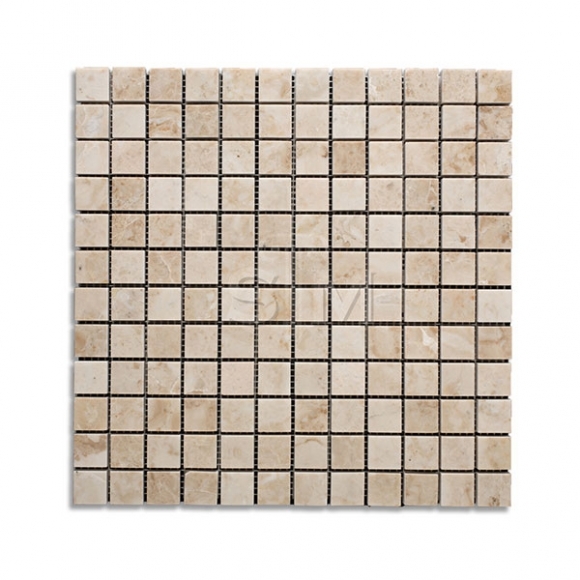 For example, they will give the room a nice contrast if you choose a filled honed finished travertine flooring. 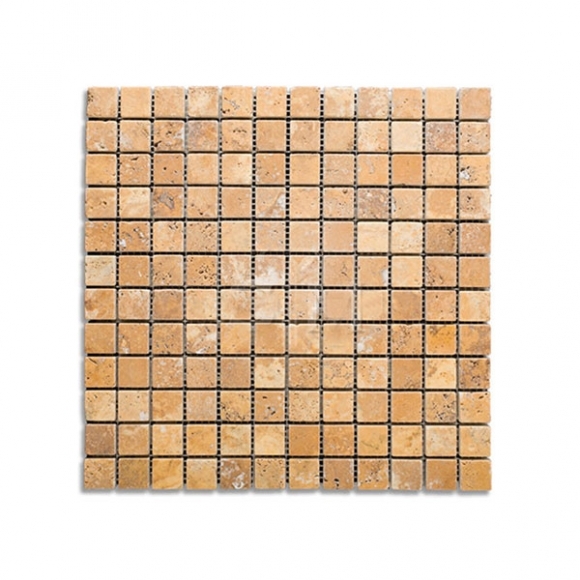 For a more rustic look for your brushed, chiseled travertine flooring, the tumbled finished mosaic will definitely enhance that old world look that you might be seeking.